Did you know that the UNESCO World Heritage List includes 24 Russian heritage sites, natural and cultural properties, and famous historical sites? Did you also know that one of the two largest McDonald's outlets in the world is located in Moscow? For some, the word Russia does not conjure up fascinating images or exciting travel ideas. But for Aaron Chee, Russia is intriguing. 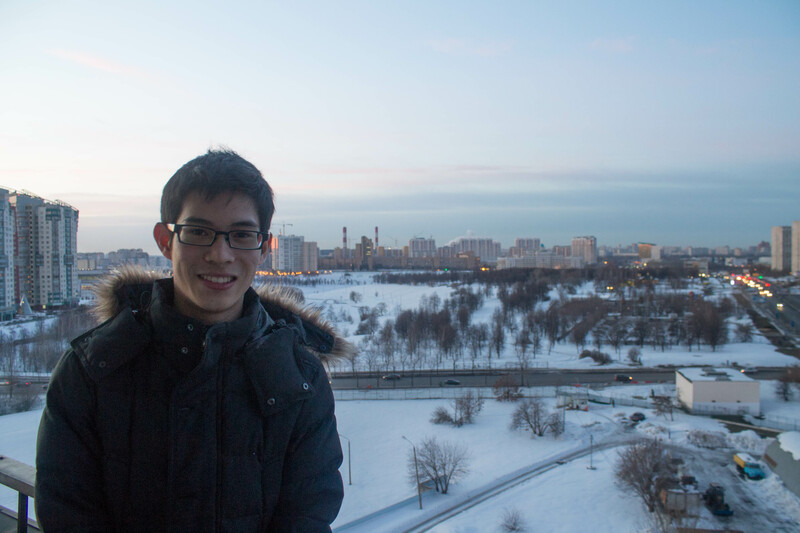 In this article, we introduce you to this adventurous Singaporean living and studying in Russia. He shares  how his love and interest for Russia came about and grew. P.S. : a surprise awaits you at the end of this story! I am doing a Master’s programme in Politics and Economics Eurasia at the Moscow State Institute of International Relations. I have been living and studying in Moscow since September 2012. The Master’s programme is taught in English, but I am learning Russian now. I knew a bit of Russian during my undergraduate studies in the UK and in Singapore (just before going over to Moscow). I look forward to sharing my experiences with other Singaporeans since, as I have observed, most Singaporeans know very little about Russia and the CIS. The CIS stands for the Commonwealth of Independent States. 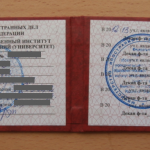 It is an organization comprising former Soviet republics. It consists of Russia, countries in the Caucasus south of Russia, in Central Asia, and a couple to the west of Russia. Out of curiosity, really. It started two years ago when I realized that the language centre at my university in the UK offered Russian for beginners for the first time and decided to give it a try. I thought it was cool, as it was different from everything else that was offered, such as French, German, Japanese and Spanish. It just seemed like a good and fun thing to do for two hours each week. I had no idea it would lead to this. What is it about the Russian language that sparked your interest for Russia? Initially, it was just something fun for me to do. I heard a lot of talk about how it would be a very challenging language, but challenging makes it all the more fun to learn actually. It is a widely spoken language in the post-Soviet region as I have come to realize, and even the lingua franca in some places outside of Russia. 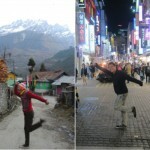 I got more and more interested in the country as I began learning about the language. 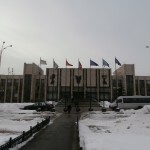 In 2011, I did an internship in Moscow. It was my first time then in Russia and I had a really good time. It was not because Moscow was a very comfortable and predictable place, but because it was precisely the opposite. That made living and working in Moscow very exciting. It was challenging to settle down, to overcome the language barrier, to get used to the Russian way of doing things, to think on my feet, to cope with sudden change of plans, etc. In one word, or a short phrase, describe your life in Russia. It has been an eye-opener. Nothing I have been used to so far. What do you like about living in Russia, compared to living in Singapore or in the UK? Believe me, life in Russia is nothing like life in Singapore. I am still learning about this place and there is never a dull moment here. It is, to me at least, very different from what I have experienced in Singapore or in the UK, where everything is clean, predictable and organized. I do not know everything about what this place is like. Something interesting might happen tomorrow. It has been like that for the last six months. It is also nice to be living on my own and experience life in a totally different place. In Singapore, we [Singaporeans] think we are a very international city. Here [in Moscow], they think so too. But if you compare the state of things between the two countries, it is two different kinds of international-ness. Our view [in Singapore] is centred very much on the US, Europe and Asia, but in Russia, it is on the CIS and Europe. Is it true what they say about Russians and vodka, and the cold winters? The part about vodka is definitely true! 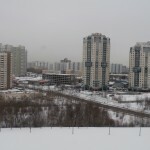 The cold winters are also a reality, but heating in Russia is very good actually. I have never felt cold inside buildings. What do you think is one thing that we do not know about Russia? Well, some might know this, but the Moscow metro is a really impressive and reliable form of transport. There are about 6 million metro users a day in Moscow. Some of the older metro stations in Moscow have Communist art-like murals, marble flooring and chandeliers. It was a glamour project built during the Soviet era that allowed the masses to have a glimpse of what it is like to be in a palace. How would you describe the Russians? My first impression of them was, why are they so serious. On the metro, it looks as if everyone has a relative who has just passed away. Russians think people who smile too much have a screw loose up here (points to the head). Or they think that people who smile too much are not sincere. In Soviet propaganda, the cunning American imperialists were always grinning broadly. Russians put on a solemn public face. I have made friends with some Russians and some of them may appear reserved and unfriendly at first, but when they become your friend, they are incredibly warm and friendly and take really good care of you. The Russians do not speak much English, so I would only use English when I speak to my friends from my English-language programme. So far, I have acquired enough Russian to survive, but even then, it can be quite demanding with all the bureaucracy and other surprises (computer crashing, dormitory problems, etc). What is your best memory thus far? It was in Summer 2011. It was my first time here then and I visited a dacha (summer house in Russian) of one of the Russians I worked with. It was a nice weekend trip with my Russian friends and it was great to meet their family and friends there. I tried out the Russian sauna, called banya. Part of it involves someone else beating you with birch twigs – apparently, it improves blood circulation. (laughs) Maybe one day, I will blog about this. Surprise! Beginning March 2013, Aaron will be sharing and posting stories of what it is like living and studying in Russia. We are extremely delighted and excited to have Aaron on board GoBeyond.SG as one of our contributing authors. So what can our readers expect from your stories/blog posts? I will definitely give information about this country that people do not know much about and try my best to paint a picture of how life is like over here. I might talk a bit about my student life too, and share more about my personal decision and why I decided to come here, as well as how my friends and family have reacted so far. I might talk about the Russian language too. Finally, can you share some Russian greetings that our readers can pick up quickly? Yeah! ‘Privet’ (pronounced preev-yet) is Russian for ‘hello’. There is a longer, more formal ‘hello’ that is harder to learn – ‘Zdrastvuitye’ (pronounced drast-voo-it-yea). And there is ‘Spasiba’, which means ‘thank you’.